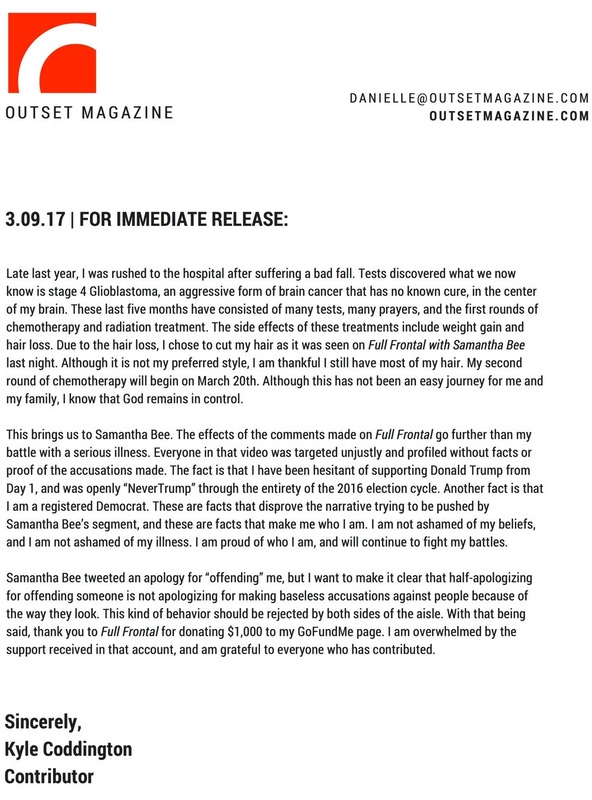 The 20-year-old man mocked by hate-filled, racist bigot Samantha Bee for having "Nazi hair" issued a formal response to her attacks Thursday night on Twitter. Kyle Coddington, who said he's actually a NeverTrump conservative, criticized Bee's half-apology and the way she demonizes people on her show without even speaking to them or giving them a chance to respond. Tucker Carlson covered the scandal on his show last night. His guest pointed out that Samantha Bee, who constantly accuses people of being "racist," has almost no diversity on her show's staff. One point he must have not been aware of is Samantha Bee and her husband Jason Jones also lobbied against the forced integration of her child's exclusive school in the the Upper West Side of New York. According to the logic she uses every night on her show, that means she and her husband are filled with an extreme and deep hatred for minorities. Just as they refuse to give people demonized on their show a chance to respond, Samantha Bee and her segregationist husband Jason Jones similarly refused to give disenfranchised minorities a chance to attend their ritzy Upper West Side school. 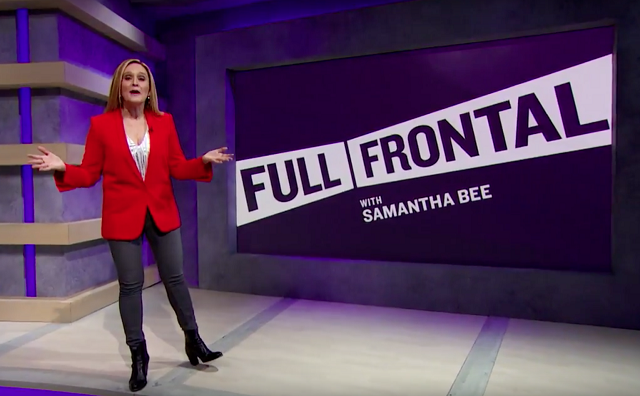 Samantha Bee should be fired immediately and made to donate the entirety of her salary to a fund striving to make whole those whom she's unfairly demonized.